Great job getting this beauty in flight Clement. Beautiful take off shot in lovely light against a nice BG. I like the shot and the fantastic color on the bird, perfect in flight capture CLEMENT. Clement, Good one. Don't think that I've seen an inflight image of this species. Another beautiful shot of this gorgeous bird, Clement. The background suits it perfectly, and the detail and color are tops. Gorgeous flight shot! Always amazed by the colors of this bird. 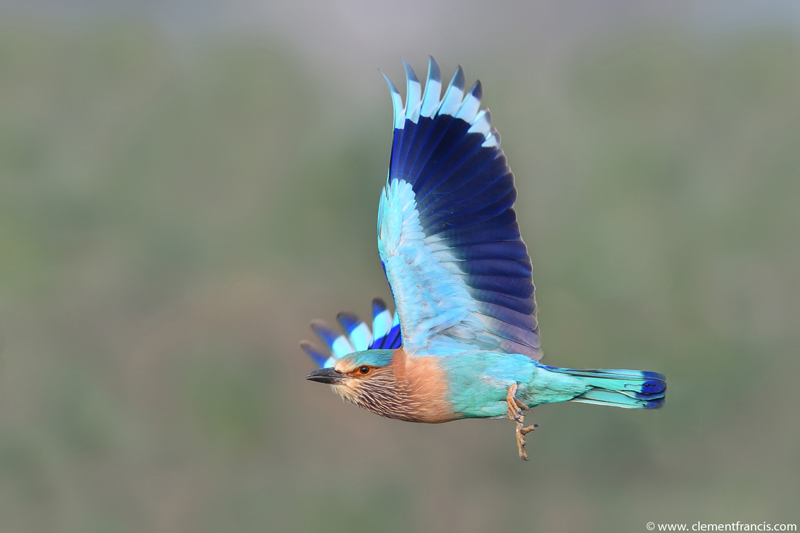 Superb flight shot of this beautiful roller, Clement. Such a gorgeous blue! Amazing colors, almost like painted. Very nice.